[SatNews] Orbit Technologies Ltd., will supply Telespazio with high performance stabilized marine satellite communications systems to be installed onboard oil and gas industry platforms worldwide. This year, Telespazio’s orders for Orbit systems have reached 1.1 million dollars. Telespazio, a joint venture of Finmeccanica and Thales, is continuing their decade long relationship with Orbit which is supplying Telespazio with various models of its satellite communications systems optimized for specific marine applications. The newly ordered marine satellite communications systems consist of the 1.15m Ku band Orsat-G systems and the 2.4m AL-7108 C Band systems. They feature advanced RF capability, enabling high speed broadband data transmission/reception even under the roughest conditions at sea. Avi Cohen, Orbit’s CEO, says, “Orbit considers the oil and gas market one of the main engines driving the company’s global growth.” Oil and gas companies are increasingly dependent on uninterrupted broadband communication with their land based centers, and the financial costs of interrupted communications can be substantial. Orbit is a major satellite communications solutions leader, that develops, manufactures and supplies a wide range of solid performance communication equipment and solutions that are used by leading global companies. 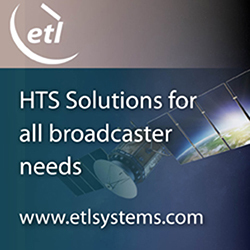 Over 60 years experience and thousands of installations in all five continents in which they provide Stabilized SatCom Communication Solutions, Tracking Antenna Systems and Solutions and Intercommunication solutions. Orbit's products and solutions are widely used for Airborne, Marine and Ground applications, in both Commercial and Military applications. 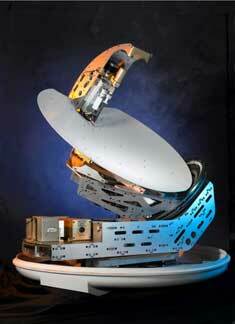 Telespazio is a prominent operator of satellite management and integrated communications services.